15 year-old Alejandro Duran, who comes from a religious Latino family, aspires to one day be a Catholic priest. 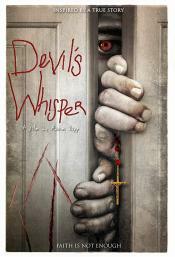 But when Alex discovers a mysterious box he unwittingly unleashes a demonic spirit bent on possessing him. Alex must find a way to defeat this ancient demon, which has been tormenting children since the dawn of man, before it destroys him and everyone he loves. On the surface Devil's Whisper is a supernatural horror film about demonic possession but at its core it's a psychological thriller about repressed memories, childhood trauma and the cycle of abuse. This page has been seen 561 times.